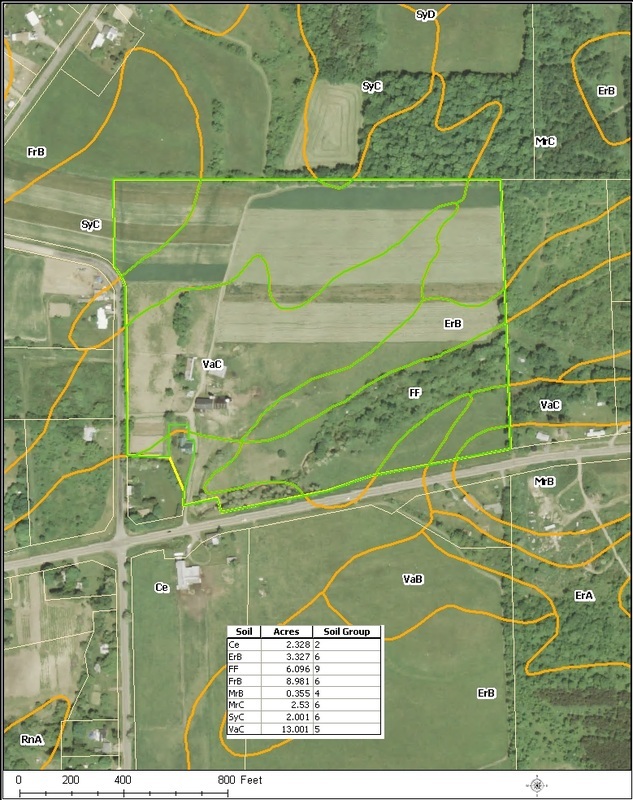 The Ag Assessment program is designed to provide a partial exemption from taxation for farmland where pressures cause the market value of the land to exceed the economic value of the land used in agricultural production. Each year, the State Board of Equalization & Assessment determines appropriate assessed values for each soil type. Agricultural assessment applies to land used directly or indirectly for agriculture. 1. A minimum of 7 acres and have an average annual gross earnings of $10,000 for the preceding 2 years. If the agricultural operation is less then 7 acres, then the average annual gross earnings is $50,000 for the preceding 2 years. 2. When property is signed up for this program, the land must be in the agricultural program for the next 8 years. 3. If the landowner decides to convert the land to a non-agricultural use, then the landowner is subject to a penalty. 4. Any change in use of the property will require a new soil group worksheet to be filled out. If you would like more information about this program, call the Schuyler County SWCD at (607) 535-6878. *Soil worksheets are needed to apply for the Ag. assessment and are done at the office, there is a $10 fee per parcel. Please be sure to have your Tax ID number with you for the properties needing worksheets. For more information about the Agricultural Assessement Program please go to the NYS Department of Taxation and Finance.